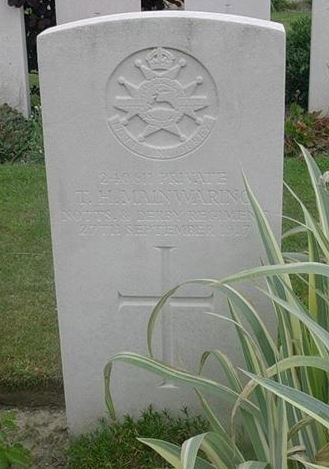 Thomas Henry Mainwaring (known as Harry) was born in Ashbourne Derbyshire in 1897. He was the son of William and Sarah Mainwaring and brother to Annie, Sarah, Edith, Elizabeth, Gladys and Bill. Harry worked in the local corset factory prior to the War. 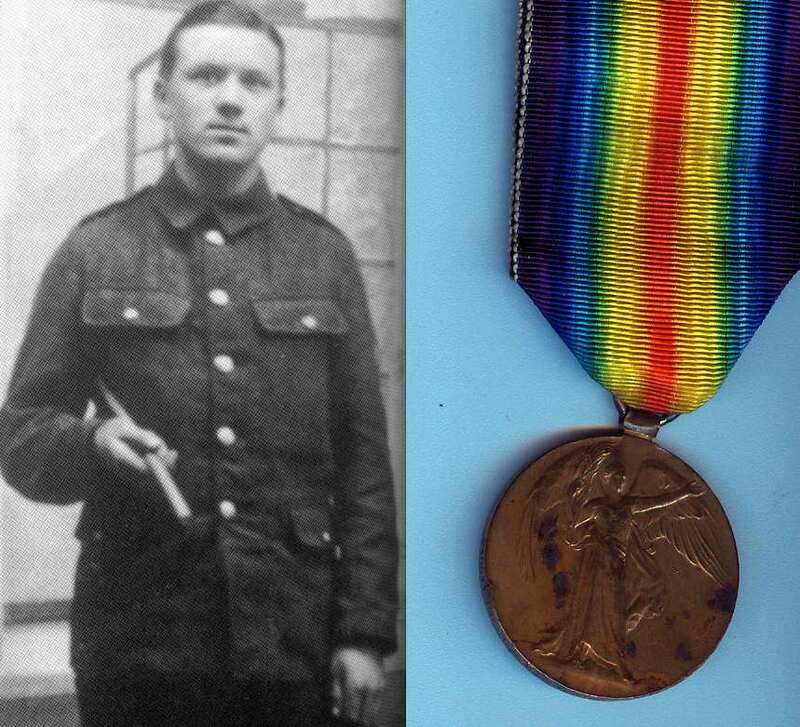 He enlisted in October 1914 and served with the 2/6th Battalion in Ireland before being going to France in February 1917. 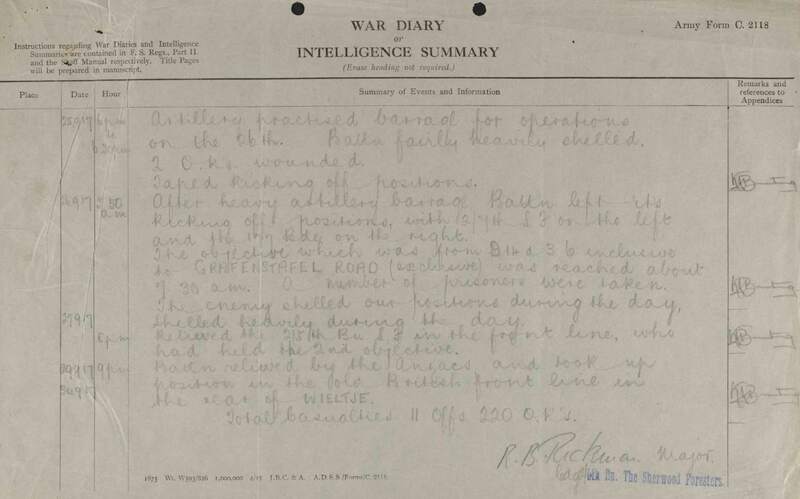 We was killed in action on the 27th September 1917 during the 3rd Battle of Ypres and just before his 20th birthday. See here for more information. 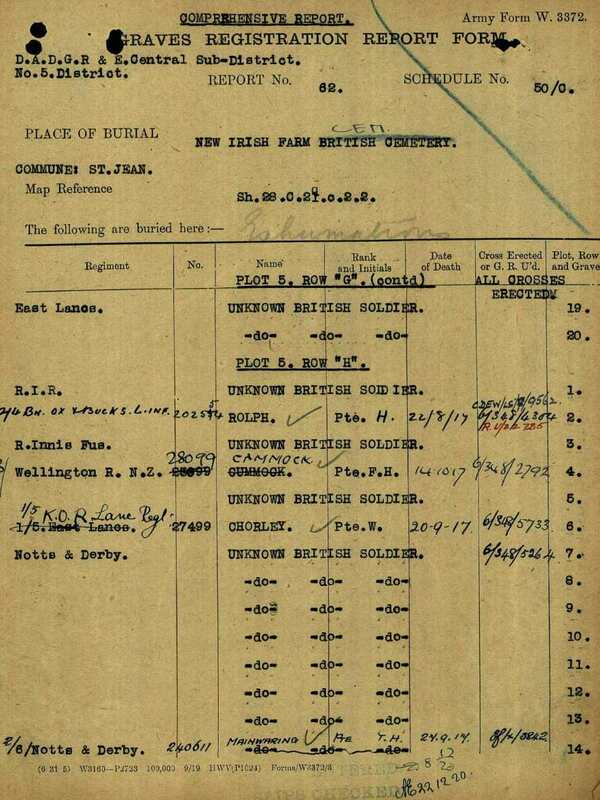 The Graves Registration form records that Harry’s body was found with the remains of other Notts and Derby Territorials most likely from the 2/6th Battalion.